Among the more important cultural sites in China, an imperial style structure situated in the outskirts of Taipei, Taiwan Province, the Taipei Palace Museum consists of an archaized exhibition hall, an administrative building, and a landscaped courtyard. The construction of the museum was completed on November 12, 1965, the 99th anniversary of the birth of Dr. Sun Yat-sen, the great pioneer of Chinese democratic revolution. Hence the facility is also known as the SunYat-sen Museum. Some compare the Taipei Palace Museum with the Palace Museum in Beijing, known as the Forbidden City to most Westerners. Each does possess unique characteristics, but neither has a complete collection. While the Taipei Palace Museum houses some 650,000 works of art and artifacts, the Palace Museum boasts more than 1 million pieces of cultural relics. The two museums may collectively be viewed as a whole, and only when considering them as a whole can one gain a thorough understanding of the time-honored and splendid elements of Chinese culture represented by each. The 650,000 works of art and artifacts held within the Taipei Palace Museum consist of imperial collections of the Song (960-1279), Yuan (1279-1368), Ming (1368-1644), and Qing (1644-1911) Dynasties, as well as cultural relics collected, purchased and contributed by average citizens across the nation. They include nearly 70,000 bronze, porcelain, jade, lacquer, and enamel articles, 10,000 works of painting, callig-raphy, and embroidery, and 570,000 books and documents, including the Complete Library in Four Branches of Literature. 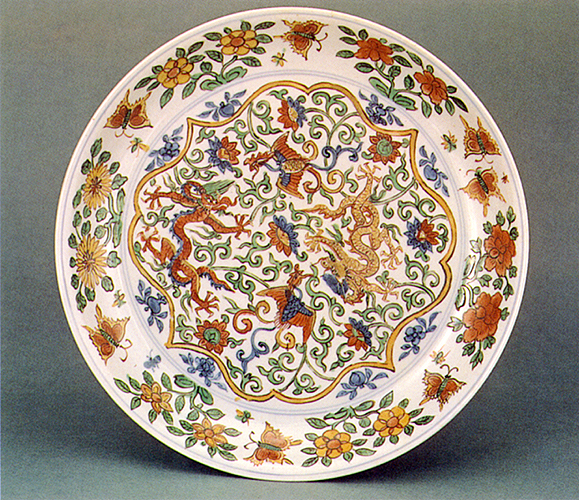 The Chinese royal collection can be traced back to the early Song Dynasty. Zhao Kuangyin, founding emperor of the Song, placed emphasis on culture and established the Imperial Academy of Painting. In 976, Emperor Taizong issued an imperial edict to collect paintings and calligraphy attributed to noted artists and scholars of the previous dynasties, and in 989 he established a secret library to house the collections. Some of the collections have been preserved to today and are now in the safe keeping of the Taipei Palace Museum.